Have you seen Shelly HOFMANN? 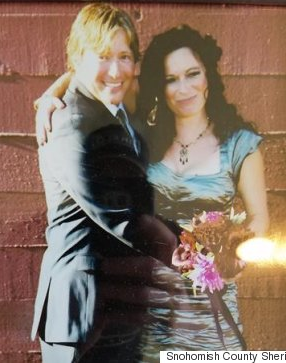 The Port Alberni RCMP is continuing its investigation into the disappearance of 49 year old Port Alberni resident, Shelly Jean HOFMANN. Shelly hasn't been seen since June 24th, 2016. She was last seen in the 3000 block of 3rd Ave in downtown Port Alberni, in front of Alberni Community & Women's Services Society (ACAWS). "We would like to take the opportunity to ask the public once again, if you have any information about Shelly's disappearance, please contact Port Alberni RCMP investigators or if you wish to remain anonymous, Crime Stoppers", states Corporal Amelia HAYDEN, of the Port Alberni RCMP. "What may seem inconsequential to you, may be the missing link in this investigative puzzle. Everything is important." The BC Coroners Service has made a positive identification of the human remains found on July 4th near Bowen Road. 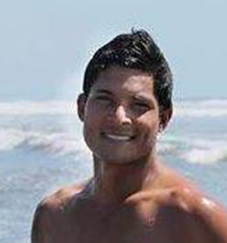 The remains have been identified as 40 year Marlon Orozco-Castillo of Nanaimo reported missing from Nanaimo in May of this year. Orozco-Castillo's family and next of kin have been notified. The resulting investigation found no evidence of foul play and the death continues to be investigated by the BC Coroners Service. The search for a 24 year old Williams Lake man was been suspended on Thursday, following an extensive search of the Fraser River and shorelines in the area of the Rudy Johnson Bridge. It was reported that Jordan Siegmueller had fallen from the bridge early Wednesday morning. On Wednesday July 27, at approximately 00:18 a.m. the Williams Lake RCMP received a report that 24 year old Jordan Siegmueller had accidentally fallen off of the Rudy Johnson Bridge and into Fraser River below. Friends who were with Jordan when he fell, observed him being swept downstream and in distress. BC Ambulance and an RCMP Police Service Dog were called out immediately. A shoreline search by the police Service Dog at that time, failed to locate the man. The Central Carriboo Search and Rescue Team were activated at the time of the call and commenced their search on the water and shoreline at first daylight Wednesday. An extensive search was carried out until night fall Wednesday and was completed midday Thursday. RCMP and CCSAR searchers failed to locate the man or any sign of him on Thursday. •Wearing tan pants, a grey shirt and had a red back pack with him. The Williams Lake RCMP ask that communities downstream from Williams Lake be aware of the this tragic incident and report anything possibly linked to this matter. The body of a woman discovered two weeks ago near Bella Coola, B.C., has been identified as that of missing woman Dianne Pootlass. There were no signs of foul play, said a statement released by RCMP. The cause of death is not considered suspicious at this time. The BC Coroners Service is involved in the investigation. 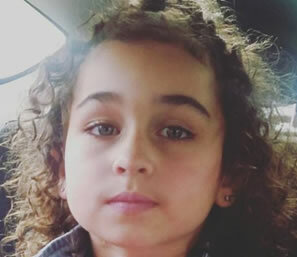 Calgary police have issued an Alberta-wide Amber Alert for a five-year-old girl believed to have been abducted from the community of Panorama Hills, where her mother was found dead. The Amber Alert for Taliyah Leigh Marsman was issued shortly after 1:30 a.m. MDT on Tuesday. As of 12 p.m., Marsman’s whereabouts remained unknown. She was last seen by a family member at around 11:30 a.m. on Sunday. The young girl is described as having a slim build, curly brown hair and blue eyes.Police said it’s believed Marsman was abducted by an unknown person from the 1000 block of Panamount Boulevard N.W. GALLERY: Calgary police issued an Amber Alert for Taliyah Leigh Marsman, 5, on Tuesday, July 12, 2016.
on June 29, 2002. At the time of his disappearance Kris was distraught and he has not been heard from or seen since. Please click on the link to read more about Kris and to view his photo. Please like/share this status so others can see Kris's information. You never know who may be able to provide answers to his searching family. Ever since her son vanished from Stump Lake Ranch, Elizabeth Faber has said she would not give up looking – and she meant it. Faber has brought in a private investigator to look into the sudden and mysterious disappearance of Dean Kelly Morrison. 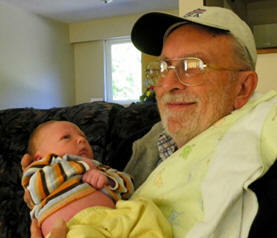 The father of three, a former editor of the Merritt Herald newspaper, disappeared Oct. 22, 2013. A search of the ranch is set for mid-July. Denis Gagnon of BSCI Investigations said Tuesday that he has reopened the investigation, providing free services in an effort to solve the disappearance. Morrison was last seen at the ranch south of Kamloops, though it’s not known whether he went missing there or walked away from turmoil in his life. Faber said in March of this year that her son was in the midst of a difficult marital breakup at the time of his disappearance. At the same she noted he had no history of mental instability or drug use, and no criminal background that might have led to violence. The 44-year-old was working as a ranch hand and living in a trailer on the property when he went missing. He was in the process of moving his broken down truck and trailer to his sister’s house. He has not been heard from since October 2013 and has had no contact with family. The investigation will focus on the ranch as well as Merritt, Gagnon said. Morrison is described as Caucasian male, 167 cm tall and weighing 68 kg with brown hair and blue eyes. Anyone with information or who wishes to assist in the search is asked to contact BCSI at 604-922-6572, or toll free USA at 1-888-383-7711. Quesnel RCMP are asking for the public’s assistance in locating a missing female. 21 year old Caitlin MURRAY was last seen on September 30th on video surveillance at approximately 12:45 am, parking her car near the Fraser Bridge Hotel in West Quesnel. Family and friends are worried about her well being and are unable to locate her. Quesnel RCMP have searched the immediate area including the foot bridge, the Fraser River and surrounding parks. The search for Caitlin MURRAY continues with the help of local Search and Rescue and an RCMP fixed wing plane. Caitlin MURRAY is described as Caucasian, five feet tall, 120 pounds, slim build, has Blonde hair and blue eyes. She was last seen wearing black lululemon pants, a blue T shirt and a hoodie. RCMP are asking anyone who may have seen MURRAY or know of her whereabouts, are asked to call the Quesnel RCMP Detachment at (250) 992- 9211. If you would like to remain anonymous, please call CRIME STOPPERS at 1-800-222-8477 (TIPS). The Castlegar RCMP has confirmed that 44 year old Oscar BOT of Castlegar, who was reported missing on June 29, 2016, has been located deceased. On July 4, 2016 the Castlegar RCMP located the body of Mr Oscar Bot in a heavily wooded area, West of Castlegar. The Castlegar RCMP was assisted by the Castlegar Search and Rescue team in conducting an extensive search of several locations in the Castlegar area during the course of this matter. The Castlegar RCMP has completed its investigation and has confirmed that foul play was not a contributing factor in Mr. Bots’ death. The Castlegar RCMP has advised next of kin. The Castlegar RCMP will continue to assist the BC Coroners Services with their investigation. The Castlegar RCMP are once again appreciative of our local SAR volunteers and their assistance with this matter. No further details are being released with respect to this investigation. 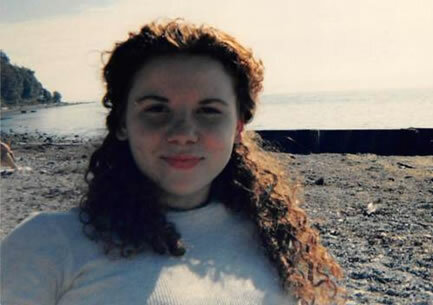 On March 16, 2013 a Missing Person’s investigation was opened by Mission RCMP after 18 year old Rachel Pernosky could not be located by family and friends. Her disappearance was out of character and caused great concern for her family. 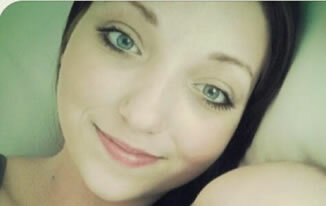 On March 19, three days after she was last seen alive, Rachel’s body was located in a rural location in Chilliwack. It was clear that Rachel had met with foul play and IHIT assumed conduct of what was now, a homicide investigation. The randomness of her murder shocked the community of Mission and beyond and public safety was paramount for all investigative agencies involved but it was quickly determined that this incident was not random and a suspect was identified in the early stages. On June 23, 2016 there was sufficient evidence to support homicide related charges against Rachel’s half-brother and on June 24th he was arrested without incident. Investigators have been working closely with Crown Counsel and have secured charge approval against 31 year old Matthew Joseph Pernosky for the second degree murder of Rachel Pernosky, as well as a second charge of indignity to a body by having sexual contact with and disposing of the body. “This is a tragic case that has left a family with many unanswered questions. From the onset, IHIT and Mission RCMP have worked collaboratively to follow the evidence and secure the charges you see today. It has been three solid years of drive and commitment from all of the investigators involved,” says S/Sgt. Jennifer Pound. While there will be many questions regarding the motive, investigative details and details surrounding the specific charges, the integrity of this investigation must be protected and the court process will be honoured. “Sadly the RCMP now confirm that the deceased has been positively identified as missing person, Sandra McLaughlan,” says Cst. Jesse O’Donaghey. “Sandra’s next of kin has now been notified of her passing. Our thoughts and prayers are with Sandra’s family and friends during this difficult time,” adds O’Donaghey. David Christopher FLOYD was last seen in December of 2015 near 146th Street and 17th Avenue in South Surrey. He was believed to be travelling from Surrey to the BC Interior, possibly Kelowna. He has not been heard from since. 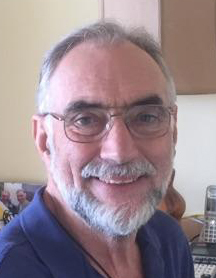 FLOYD is described as a 56 year old Caucasian male, 6’1” tall, 221 lbs, with grey hair, a grey goatee, and blue eyes (please see attached photo). Police and family are concerned for his well-being as it is out of character for him to be out of touch for this long. FLOYD may be driving a white 2014 Honda Crosstour bearing California plate: 7JBU255. He may also be driving a 1989 Chieftain Winnebago motorhome with an unknown license plate. Anyone with information about the whereabouts of FLOYD is asked to contact the Surrey RCMP at 604-599-0502, or Crime Stoppers, if they wish to remain anonymous, at 1-800-222-8477 or www.solvecrime.ca, quoting file number 2016-74323. 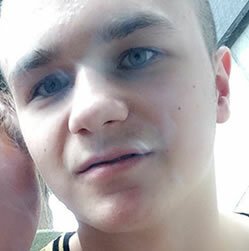 The Abbotsford Police Department is asking for the public’s help in trying to locate a missing 15-year-old boy. 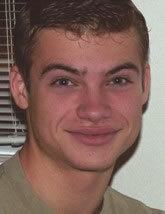 Kayle Dustin Poirier was reported missing on Thursday, June 16 at 9:30 p.m. from his residence in central Abbotsford. 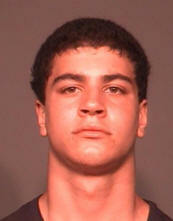 Police say the teen is known to frequent the Mill Lake area, but attempts to locate him there have been unsuccessful. 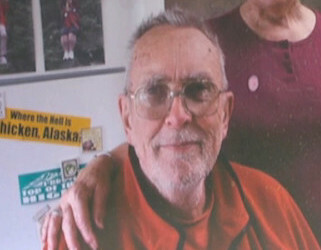 Poirier was last seen wearing a yellow muscle shirt, blue jeans and a dark grey sweater. He is described as 5’ 5”, 155 pounds and has blue eyes and brown hair. Anyone with information is asked to contact the Abbotsford Police Department at 604-859-5225 or text abbypd (222973). Friends and family are worried about a Vancouver man who has been missing for a few days. Thirty-six-year-old Randy Galawan was last seen Thursday near Stanley Park. His is 5’10” and weighs 180 pounds. He has dark blonde hair and blue eyes. It is believed he was wearing a windbreaker, possibly blue and a medic alert bracelet indicating his allergy to penicillin. 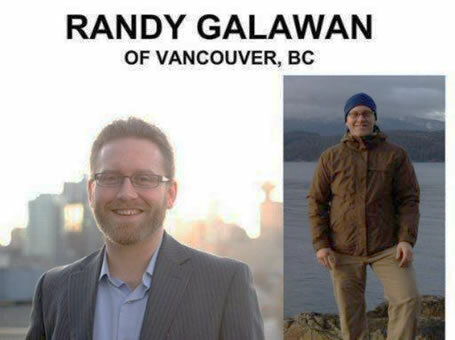 Anyone who sees Galawan is asked to call Vancouver Police. Abbotsford Police are hoping for any clues in a disappearance that dates back 20 years. Eighteen-year-old Olimpia Mikszan was living in a central Abbotsford basement suite at the time of her disappearance. Mikszan was last seen on the morning of June 21, 1996 outside that residence with an acquaintance. The following evening, some of her friends went into her suite and called police when they discovered her missing. A missing person’s investigation was launched and several tips were received, but none led to the 18-year-old. Mikszan is a Caucasian woman, 5’2” tall, with brown hair and brown eyes. 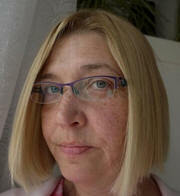 She and her family emigrated from Poland to Canada in 1990. Mikszan’s mother Elzbieta says it’s been very hard to not have Olimpia around. 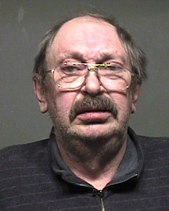 Elzbieta Mikszan is pleading with anyone who may know anything about what happened to Olimpia to contact the Abbotsford Police Department at 604-859-5225 or call Crime Stoppers at 1-800-222-8477. 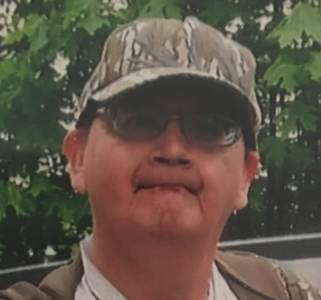 RCMP are asking for the public's assistance in locating Mr. Bryan Everett Twan. Mr. Twan is described as: 50 years of age; 5'10" - 5' 11" tall; 150 pounds; grey hair and moustache; and brown eyes. Mr. Twan was last seen on Monday, June 6th in Quesnel. He was wearing a t-shirt, blue jeans, and a small blue back pack. Anyone having any information about Mr. Twan's whereabouts is asked to call the Quesnel RCMP at 250-992-9211 or Crime Stoppers at 1-800-222-8477. Today, June 13th marks the third Anniversary and police continue to seek public assistance in solving the disappearance of Immaculate Mary (Mackie) Basil. 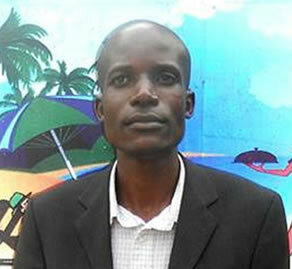 Mackie was last seen walking on the Leo Tanizul Forest Service Road during the mid-morning hours of June 13, 2013. She was wearing a black hooded sweatshirt with a red Maple Leaf on it, grey Capri (jogging) pants and white running shoes. From information obtained during our investigation, we learned how much Mackie loves her son so we believe that she just wouldn’t have wandered off on her own. 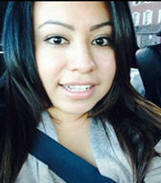 Her disappearance has taken its toll on her family and members of her community, advised investigative team leader Sgt. Todd Wiebe of the North District Major Crime Unit (NDMCU). The night prior to her disappearance, Mackie was at a house party in Tachie when she and two other individuals decided to head out to a local cabin. While on route to the cabin, the pickup truck the trio was traveling in became stuck in the mud and efforts to free it were unsuccessful. The three walked to the cabin where they spent some time, then made more attempts to free the truck from the mud. Mackie became frustrated with the unsuccessful efforts and advised the others she was walking back to Tachie and left them with the truck. At this point in the investigation, police have no information to support that Mackie met with foul play, however this possibility can not be ruled out. Extensive ground and air efforts with the assistance of many Search and Rescue organizations, RCMP Air Services, and local searchers, scoured the area for four days without locating any trace of Mackie. Over the past three years, local First Nation Tlaz’ten Band members and SAR have continued searching the area surrounding where Mackie was last seen without locating her, or any trace she had ever been there. A missing Kelowna woman's body has been found in Washington. 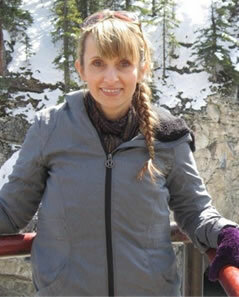 Neva Evdokimoff, 48, was reported missing by her family on May 25 by Trail RCMP, who now confirm her death. “On June 9th, Neva Evdokimoff's body was located by the Steven's County Sheriff in Washington,” writes Cpl. Dan Moskaluk. “US authorities recovered her body from the Columbia River. Trail RCMP located Evdokimoff's vehicle in the parking lot at Gyro Park in Trail. Video surveillance indicates she parked there about 11:30 a.m. May 24, three hours after leaving Shore Acres. The Trail and District RCMP continue to assist the BC Coroners Services with their investigation into her death. “There is no indication of foul play being involved in her death,” adds Moskaluk. The VPD is asking for the public’s help to find a man who has been missing for more than a year. 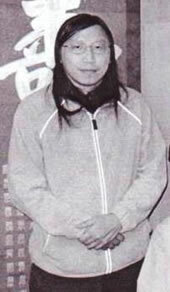 Forty-nine-year-old Yiu Nin “Nelson” Ng was reported missing earlier this year, but was last seen on March 22nd, 2015. He is described as being reclusive and having very infrequent contact with family. The Vancouver Police Missing Persons Unit has exhausted investigative avenues in trying to locate the missing man. 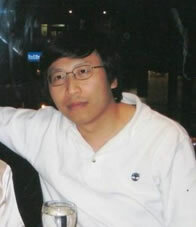 Mr. Ng is Asian, 5’9″ tall, 140 lbs., with long black hair and brown eyes. He wears prescription eyeglasses and may have a sparse, goatee beard. Anyone with information regarding the whereabouts of Nelson Ng is asked to contact their local police. The father of a B.C. woman who has been missing for more than nine years has offered a $25,000 reward for information about what happened to her. Candace Shpeley was last seen in March, 2007. Her father held a news conference in Abbotsford, B.C., on Tuesday to mark her 33rd birthday. “I'm looking for information on my daughter. Either she's alive, or she's dead. I have no idea,” said Barry Shpeley. “I'm offering $25,000 in cash to anybody who knows what happened to my daughter and can bring her back safely. If you don't know what happened to my daughter, maybe you know who's responsible for my daughter. This money, if you can get them arrested and convicted, is yours, too." Ms. Shpeley’s vehicle was discovered in a Vancouver neighbourhood after her disappearance, but police have not determined what happened to her. Mr. Shpeley said he believes the Integrated Homicide Investigation Team, which is leading the case, has neglected the file. “My daughter’s case has been shoved off to the side,” he said. IHIT spokesperson Sergeant Jennifer Pound said the homicide unit understands family members can become frustrated by the lack of information about a case. She said the investigation remains active, but investigators have previously noted that a person of interest in the case died in prison. Sgt. Pound said the evidence collected to date suggests Ms. Shpeley met with foul play. Mr. Shpeley said he believes his daughter may have been murdered, as he cannot believe she would simply walk away from her family. Her three children are now aged 15, 14, and 11. Mr. Shpeley described his daughter as a warm, loving person who always wanted to help others. 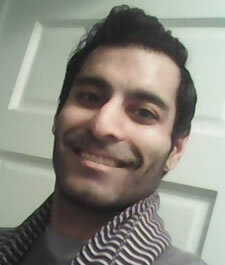 Background: On May 26, 2016, North Vancouver RCMP requested the public’s assistance to locate 34 year old Jastinder ATHWAL as he had not been seen by friends and family since May 19th. A Missing Person Investigation was opened. On May 29, 2016, just before 9:00 am, North Vancouver RCMP, along with the North Vancouver District Fire Department responded to a call of a deceased male located in Lynn Creek. The Coroner also attended the scene. The Integrated Homicide Investigation Team has conduct and is working in partnership with the North Vancouver RCMP as the cause of death remains unknown and the potential of a homicide cannot be ruled out at this time. An autopsy is required to determine the cause of death and confirm whether or not foul play is a factor. The identity of the victim has been confirmed to be 34 year old Jastinder ATHWAL. The next-of-kin notification has been completed. Thank you to the public who remained vigilant and supported the Missing Person Investigation by bringing information forward to the police. IHIT is asking for anyone that has information about, or was in the company of, Jastinder ATHWAL following his disappearance on May 19, 2016 to contact the IHIT Tipline at 1-877-551-4448, or, if you wish to remain anonymous contact Crimestoppers. There will be no further information released until the completion of the autopsy which is scheduled to occur in the coming days. SALMON ARM — The search for a missing Salmon Arm man has ended in tragedy. The remains of Christopher Allbury were found last Friday, Salmon Arm RCMP and the B.C. Coroners Service confirm. Police say foul play is not believed to be a factor in the death of the 70-year-old man’s death. Allbury’s partially decomposed remains were found in an area on 6th Street NE and Lakeshore Drive. The body of a man missing since November 13, 2015 was found on May 6, 2016 in Burnaby. The cause of death is not considered suspicious at this time. The BC Coroner’s Service is involved in the investigation. Further media enquiries are to be directed to the BC Coroners Service. On Saturday May 28th, 2011 every parent’s nightmare became a reality for the Scott family of Vanderhoof. On Friday May 27th, 2011, 20 year old Madison Scott attended a party at Hogsback Lake which is a Forest Service Campsite located approximately 25 kilometers South of Vanderhoof. Maddy parked her white 1990 Ford F150 pick-up truck and pitched her tent nearby as she was camping there with a group of new found friends, from Vanderhoof. The group was celebrating a friendʼs birthday and at the end of the evening, Maddy was left on her own in her tent. Everyone else left the party by 4 am. On May 28th, 2011, something happened between 4 am - 8:30 a.m. that led to Maddyʼs disappearance; foul play is suspected and Maddy remains missing despite a vigorous and in depth RCMP investigation and ongoing efforts by family and friends. “We know someone out there knows something about the disappearance, but either won’t, or can’t tell us what happened to Maddy. We are asking any individual who has information and has not already come forward to contact the police or Crimestoppers” stated lead investigator Cst. Tom Wamsteeker of the North District Major Crime Unit. The Maddy Scott family team will be holding the 5th annual Poker Ride at Hogsback Lake this Saturday May 28th, 2016, and we encourage everyone to come and participate as we continue our search for answers. The BC Coroners Service has helped close a two-and-a-half-year-old missing person's case. The coroners office confirmed Friday, human remains found on Cypress Mountain in West Vancouver last month are those of British tourist Tom Billings. 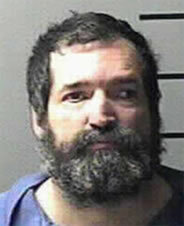 Billings was reported missing in the fall of 2013. The 22-year-old Oxford, England resident, was last seen hiking in the North Shore mountains on the afternoon of Nov. 25, 2013. He was reported missing about a week later after he failed to complete his travel plans. He had been spending eight weeks travelling in North America. A large-scale search that followed his disappearance failed to find any trace of him. A hiker on Cypress Mountain found what he believed to be human remains last month, and contacted police. North Shore Search and Rescue returned to the area some days later and completed more of the recovery operation. Identification specialists with the BC Coroners Service now have confirmed that the deceased male found was, in fact, Mr. Billings. The BC Coroners Service continues to investigate this death. Foul play is not suspected. Mr. Billings’s family has been notified of this identification. RCMP investigators with the Southeast District Major Crime Unit (MCU) have released video surveillance images of Caitlin POTTS entering the Orchard Park Mall Entrance on February 21, 2016. In the images POTTS enters the mall at approximately 1:30 pm that Sunday afternoon. Caitlin Potts left sister chilling last message before she disappeared from B.C. Interior. North Okanagan RCMP say they haven’t given up on finding a missing Enderby woman. An active investigation remains underway for Caitlin Potts, a 27-year-old North Okanagan woman who was last heard from on Feb. 22 and reported missing March 1. Const. Jocelyn Noseworthy says officers have been following up on numerous leads but have not been able to locate her. “It’s a matter we’re taking very seriously,” Noseworthy says. Potts apparently told friends she was moving to Calgary, but she has not been seen or heard from since. Friends say her lack of contact is out of character and are worried about her. Police have used helicopters and conducted ground searches in attempts to find her, but so far have come up empty handed. “We haven’t given up on finding Caitlin Potts by any means,” Noseworthy says. At this point, police do not believe foul play is involved. The detachment is collaborating with Calgary police. Potts’ mother made an emotional appeal in March asking anyone with information about her daughter to come forward. “I miss my daughter, not hearing from her has caused me a lot of worry and grief as any parent can understand. We simply need to hear from her so that we know she is okay,” she said. If you can help find Caitlin or know how to get in touch with her, please call the Vernon-North Okanagan RCMP at 250-545-7171 or any police force in your area. If you want to remain anonymous, call Crime Stoppers 1-800-222-8477. Mother asks: Have you seen Caitlin Potts? It has been more than a month since friends and family had any contact with Caitlin Potts on February 22nd, 2016. Caitlin was reported missing to the Vernon/North Okanagan RCMP on March 1st, 2016. Caitlin is known to travel throughout BC and Alberta, but her lack of communication with her friends and family is unusual. “The Vernon/North Okanagan RCMP will continue to investigate Caitlin’s disappearance until her current whereabouts are known. Family and the Vernon/North Okanagan RCMP need to know that she is safe and sound,” says Cst Jocelyn Noseworthy of the Vernon RCMP. Caitlin is a 27 year old first nations woman. Caitlin was last in contact in contact with her friends and family on February 22nd, 2016. Caitlin has been known to travel throughout BC and Alberta. Since Caitlin's disappearance, police have followed up on numerous leads and possible sightings, however she remains missing. Anyone with information about Caitlin Brandy Potts or her current whereabouts is asked to call the Vernon/North Okanagan RCMP detachment at (250) 545-7171 or CrimeStoppers at 1-800-222-TIPS (8477). 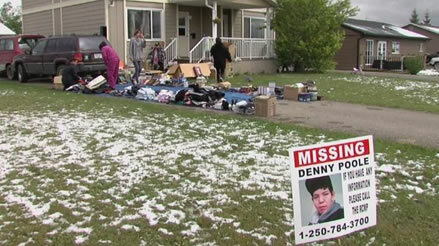 The family of a missing Dawson Creek teen held a yard sale Saturday to raise money for a reward they hope will lead them to information on his whereabouts. 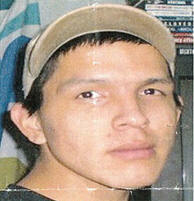 Denny Poole was last seen on March 12 when he and a friend tried to travel on foot from Dawson Creek to Fort St. John. Poole and his friend got into an argument and decided to part ways. The friend made it home but Poole hasn’t been heard from since. Police say they don’t believe foul play was involved in the 15-year-old’s disappearance. On Saturday, Alisha Poole held a yard sale to raise money for a possible reward. She has also set up a Gofundme page. 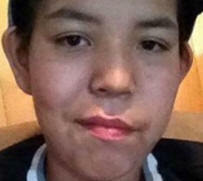 RCMP say Denny Poole is a First Nations youth who is 5’7″, 120-130 lbs. with short black hair and brown eyes. He was last seen wearing a grey DGK sweater, black jeans, Osirus running shoes, and carrying a black backpack. Anyone with information about Poole’s disappearance is asked to contact Dawson Creek RCMP at 1-250-784-3700, or Crime Stoppers 1-800-222-8477. Tuesday marked one month since the 15-year-old went missing from a roadside between Dawson Creek and Fort St. John. Bignell, the lead investigator on the case, has ruled out the Kamloops sighting as a case of mistaken identity, but says police do not yet have enough information to rule out the Valleyview tip. "I would say there is a possibility he could be anywhere," he said. "We haven't gotten any closer to finding Denny yet." Poole was last seen by a friend near the Kiskatinaw Bridge on the Alaska Highway. Police and search and rescue crews have been regularly combing the area, Bignell says, and are now looking to expand the search. "I would like to see (the search) expanded toward Dawson Creek," Bignell said. The search for Poole has become part of the daily routine at the detachment, with members following up on leads, asking questions in communities where sightings have been noted and trying to track down video surveillance in some cases. Police believe Poole and a friend got sidetracked on a backroad while walking between Fort St. John and Dawson Creek. Poole's friend, who has not been publicly identified, said that he last saw the missing teen near the Kiskatinaw bridge. The friend was soon picked up by a concerned motorist. The motorist, who police describe as a man with a "South Asian" accent, has been ruled out as a suspect. "We were hoping that he would have lead us down the road of other possible areas to look into," Bignell said. Bignell says it's hard to determine the odds of a missing person being found safe after one month. "I've dealt with similar missing persons files and people have shown up alive and well. I've also seen ones where they just never, ever are found again. It's hard to say," he added. Although one month in, Poole's disappearance is far from the longest active missing person file at the Dawson Creek detachment. Eva Mitchell, an 83-year-old First Nations woman, has been missing from the Kelly Lake Settlement near Pouce Coupe since 2004. The RCMP's missing person division based in the Lower Mainland has been keeping a close watch on the file, Bignell said. "Just to make sure that someone didn't miss something, (and) double-check everything we've done so far." Denny and a friend were attempting to walk from Dawson Creek to Fort St John on March 12th, but Denny never arrived at his intended destination nor did he return home. The two teens wandered the highway and backroads for some 20 hours taking what they thought to be short cuts of the back roads but appeared they kept getting turned around and did not make much headway. The last reported sighting of Denny was around 7:30 p.m. March 12th. Since his disappearance Denny has failed to keep in contact with family which is considered very out of character for him. Investigators once again are turning to the public to assist them in checking any personal outbuildings or wooded areas in a wide radius from where Denny was last reported being seen. (Approximately 1 km south of the Kiskatinaw River Bridge). Should you have any information regarding the wanderings of Denny that have not been reported to police or have any information regarding the disappearance of Denny, please call the Dawson Creek RCMP at 250-784-3700 or Crimestoppers at 1-800-222-8477 (tips). Denny was last seen wearing a grey DGK Sweater (DGK is in red lettering), Black jeans, Osirus running shoes, and carrying a black backpack. RCMP in Dawson Creek are hoping you can help them draw a timeline of events before 15-year-old Denny Poole was reported missing. Mounties are now saying the teen was last spotted on the south side of the Kiskatinaw River Bridge on Saturday, March 12th around 7:30 p.m.
Officers are asking anyone who was travelling through the area between Dawson Creek and Fort St John who may have seen two teens on the highway or a side road to call them with those details. RCMP say the two teens split up around 7:30. Members received a phone call 22 minutes later at 7:52 from the boy Denny was with. Police called it a ‘suspicious occurrence’ and only said the youth may have experienced a hypothermic delusion. During that phone conversation, an unknown man who was travelling between Dawson Creek and Fort St John, stopped to check on the well-being of the teen and spoke with officers. Police said the man spoke with what sounded like a heavy south Asian accent. They’ve yet to identify him and are asking for his help in their investigation. Police describe Denny as a First Nations youth. He’s roughly 5’7” and weighs between 120lbs and 130lbs. He has short black hair and brown eyes. He was last seen wearing a dark grey DGK sweater with black jeans, Osirus runners and was carrying a black backpack. Anyone with information is asked to call the Dawson Creek detachment at 250-784-3700. 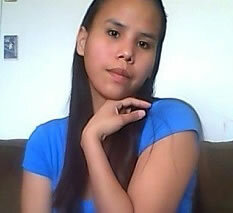 Poole is believed to be in the Dawson Creek or Fort St. John area, but RCMP cannot confirm that. 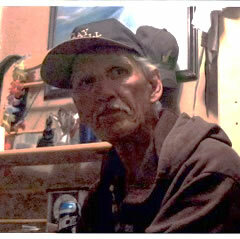 He was last seen wearing a grey DKG sweater, Osirus shoes, black jeans a flat brimmed hat and was carrying a backpack. Anyone with information regarding his whereabouts is asked to contact RCMP at 250-787-8140. 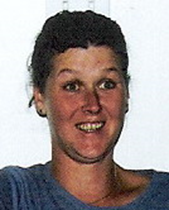 Coquitlam – It has been nine years since Kim Rogelstad (nee Winston), then 43 years old, went missing. 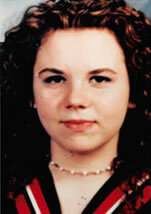 She was last seen in the Coquitlam Centre and the last contact she had with her family was on May 27th, 2007. “When not working at the Pitt Meadows Golf and Country, Kim Rogelstad could often be found at the A&W or Starbucks in Pinetree Village and at the Coquitlam Centre Food Court”, said Cst. Jamie Phillipson. 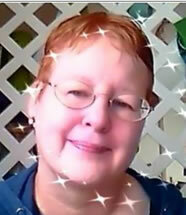 “Kim was well known in the community and had deep roots in Port Coqutilam having grown up and gone to school there”. 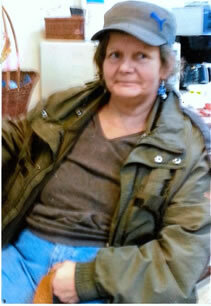 The Coquitlam RCMP are renewing the call for public assistance to locate Kim Rogelstad. It is hoped that someone may have some information, no matter how seemingly insignificant, that can help locate Kim. The body of a man missing since May 16th was found on May 18th, 2016. The cause of death is not considered suspicious at this time. The BC Coroners Service is involved in the investigation. West Shore RCMP would like to thank those that assisted with the investigation. Patrick Shunn and Monique Patenaude, who media reports said is a former resident of British Columbia. Thomas Hollywood has been missing for 21 years. My uncle Thomas Hollywood was last seen in Vancouver, BC. He may be working as a security guard there presently. His birthday is October 20th, 1963. He was born in Scotland. He has four sisters who were also born in Scotland, but live here in Canada. He is very intelligent and loves crossword puzzles. Please, if you have just a few moments click on ‘SHARE’ and get the word out (& his picture) that his family is searching for him and loves him very much. Especially if you are from or have family/friends in BC that may have seen him." If you have any credible tips on his current whereabouts please contact his family within his group here in this link: Thank You. 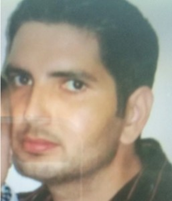 New Westminster – The NWPD are seeking the public’s assistance in locating thirty-five year old Karamjit Khangura of New Westminster. He was last seen this morning as he was leaving for work. He never arrived at his workplace. His vehicle has been located in Delta but the NWPD has been unable to locate Khangura. He is a South Asian male, slim, 165 lbs, 5ft 8” and was wearing a blue shirt, blue pants and blue hat. Anyone with information on the whereabouts of Khangura is asked to call the New Westminster Police Department at (604) 525-5411 or their local police department. Victoria, BC – VicPD Missing Person investigators have ended their search for missing 23-year-old Victoria man, Jordan Hanson. The Comox RCMP located Jordan deceased on May 7th at Mount Washington. The death is not considered suspicious and the BC Coroner Service continues their investigation. Our thoughts are with Jordan’s family during this difficult time. The vehicle belonging to Rock Creek BC resident Colleen Smith has been located in Kelowna. Midway RCMP continue to look for Colleen Smith who was originally reported missing in early February when she failed to show up for work. Chevrolet Cobalt in a Kelowna retail business parking lot. An examination of the vehicle failed to uncover any evidence about her current whereabouts. The vehicle did appear to have been parked at the location for a period of time and was found locked and to be in good running order with no damage. Anyone with information on the whereabouts of Colleen Smith is urged to contact their local police, the Midway RCMP (250-449-2244) or Crimestoppers at 1-800-222-8477 (TIPS). The Midway (BC) RCMP is requesting the public's assistance in locating a missing Rock Creek resident. Colleen Sylvia Smith was last seen February 9th, 2016 at 9:30 AM. Colleen Smith owns a blue 2005 Four-door Chevrolet Cobalt with BC license plate 914WFB, and is believed to be driving this vehicle. Colleen was reported missing after not showing up for work and has not been in contact with her friends or family since February 9th. Police are very concerned for Colleen Smith's health and well-being and friends and family report that it is out of character for her to be out of contact for this long. 2016, in the area of Ware Street and South Fraser Way. THORNE stands 6’2” tall and weighs 200 pounds. He has brown eyes and black hair. He also has a 3” scar on his left forearm. police still need to speak with him in person to confirm his well-being. 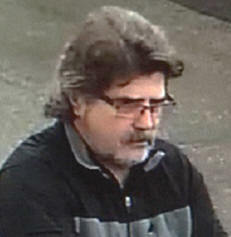 New Westminster police are asking for the public’s help to find 47-year-old Donald Smith. Smith was from New Westminster and was last seen in his home in the 700 block of Carnarvon Street on April 21. He usually uses public transit, so he is believed to be somewhere in the Lower Mainland. He is described as Caucasian, 5 foot 8, with blue eyes, brown hair, and weights approximately 200 pounds. “We’re concerned for Mr. Smith’s well-being because he is believed to have medical concerns, including diabetes,” said Media Relations Officer Acting Sergeant Jeff Scott in a release. On April 4th, 2016 just after 2PM, Port Alice and Port Hardy RCMP were dispatched to a remote logging road, approximately 1.5 hours outside of Port Alice, for a report of vehicle down a steep embankment. Staff Sergeant Gord Brownridge states, “I would like to extend my personal gratitude to the employees and owner at LeMare Logging Company and the Campbell River SAR. We would not have been able to extricate the vehicle, and subsequently locate the missing person, had it not been for the LeMare Logging, providing equipment, and voluntarily shutting down operations which were instrumental in the recovery, and the Campbell River SAR with their expertise in complex operations, such as these. 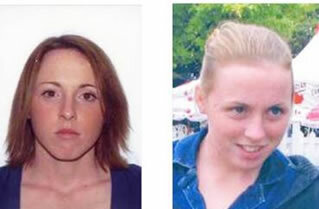 Nanaimo RCMP are asking for public assistance in a missing-person case dating back to 2012. Harley William Boxall, 50, has not been seen since he was reported missing in March 2012. Several news releases issued by police since then have turned up nothing. Boxall had been living on Wallace Street in Nanaimo. He does not drive or use public transportation, and had has limited funds. He was five feet 10 inches tall and weighed 170 pounds at the time of his disappearance. He had brown hair and blue eyes. “These files are reviewed annually and we’re hoping that just by putting it out it will jog someone’s memory,” said Nanaimo RCMP Const. Gary O’Brien. When his family home near Rotary Stadium in Abbotsford went up for sale a few years ago upon his parents’ divorce, A.J. Sidhu couldn’t bear to see it go. It was where he had so many fond memories of growing up with his sister and their little brother, Manvir, who everyone called “Munny.” A.J., 10 years older, had changed Munny’s diapers when he was a baby, and thought of him almost as his own child. When Munny hit his teens, the two forged a strong brother bond, with A.J. often counselling and guiding his spirited sibling. A.J. looked forward to seeing what the future held for Munny. That day has never come. Today (March 30) marks the 10-year anniversary of Munny’s disappearance. He was 17 years old – and just three months shy of his graduation from W. J. Mouat Secondary – when he went missing. To this day, there have been no solid leads to the question his family so desperately wants answered: What happened to Munny? “It’s still a puzzle,” says Abbotsford Police Const. Ian MacDonald. On the evening of March 30, 2006, Munny (in photo at left) returned home from hanging out with friends, and spoke briefly with A.J. and A.J.’s wife before asking his mom, Kashmir, to make him the next morning. He was last seen going to his second-floor bedroom at 10:30 p.m. At approximately 7:30 a.m. the next day, Kashmir went to Munny’s room and found his bed empty and his blinds and window open. The bed had been made up to look as though someone were in it. Munny’s wallet, passport, eyeglasses and contact lenses were all left behind. A.J., now 37, recalls the panic in his mom’s voice that morning. Munny was a good kid who always checked in with Kashmir if he was going to be gone, and she immediately knew that something was wrong. A.J. tried to reassure his mom that Munny had just gone out for the evening and would be home soon; he was an athletic kid who often exited the house by leaving through his bedroom window and jumping to the ground. “It wasn’t like he was sneaking out. It was more of, ‘I don’t need a door,’ ” A.J. laughs. A.J. and his mom began calling Munny’s friends, and discovered that many of them had received texts from Munny’s phone number, saying that he was on his way to India. But A.J. says those messages were written in a tone and style that were unlike Munny’s, and the family doesn’t believe he would go on a trip without informing them. The family reported Munny’s disappearance to police, who soon discovered surveillance video at Abbotsford Airport of a person they believed to be Munny. A.J. said everyone in the family thoroughly reviewed the footage, and all ruled out that it was him. There have been no further leads since that time. A.J. says the circumstances have taken a toll on the family. Every time they hear a news report about a found body, they wonder if it’s Munny. Every time they hear about a missing person, it dredges up their pain. A.J., a rap artist who runs an independent record label called Thuggish Records Inc., said the first couple of years following Munny’s disappearance were the worst. His mind would continuously play out the scenarios of what might have happened to his brother, and he turned to alcohol, losing his driver’s licence in 2006 for five years when he passed out at the wheel while impaired. He feels fortunate that he did not hurt himself or anyone else, and he stopped drinking after that. After his parents’ divorce, A.J. bought the family home and now lives there with his wife, his 14-year-old daughter, and son, who, in his high school graduation year, is at precisely the same age Munny was when he went missing. His mom lives there half the year, and spends the other half in India, while his dad lives elsewhere in Abbotsford. A.J.’s son, who has fond memories of his uncle, has taken over the bedroom that used to be Munny’s. His son feels at peace in there, A.J. says. The family believes that someone has information about Munny’s disappearance and hopes that, after 10 years, they will no longer be able to withhold it. “There is an ounce of hope that hopefully something good comes out of it, but I’m not stupid. I know there’s a very, very high percentage of a chance that he’s no longer around,” A.J. says. If his brother is no longer alive, there will be no funeral until they have proof, he says. 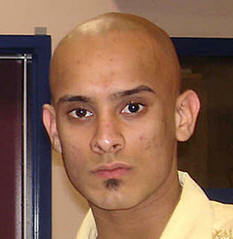 Munny’s disappearance remains an open file with the Abbotsford Police Department (APD). Anyone with information is asked to call the APD at 604-859-5225 or text abbypd (222973). Gabriola RCMP have confirmed that Dave Hepper was found deceased just after 12pm on Thursday, March 24. Hepper was reported missing this past Sunday, March 20, just after 5pm. He hadn’t been seen since 9am, heading into the woods on the east end of Wild Cherry Terrace. Cpl. Markus Müntener, Gabriola RCMP Detachement Commander, said Hepper was found roughly 40m off the trail, roughly half a kilometer east of the trailhead off Wild Cherry. Müntener did not say who had found Hepper, saying it was someone walking the trails. As to when Hepper died, and what the cause of death might be, Müntener said RCMP do not suspect foul play. The BC Coroners’ Service has now transported Hepper off Gabriola and will be conducting an investigation into cause of death. The main search for Hepper, over the four days between Sunday and Wednesday, involving the Gabriola Fire Department, Gabriola RCMP, Nanaimo and K9 RCMP, and 13 Search and Rescue teams from Vancouver Island and the mainland. Up to 60 SAR members were out in the woods at any given time for the Monday, Tuesday, and Wednesday period. They were joined by a number of Gabriolans who took to the perimeter woods and trails outside the main search area to help in finding their fellow islander. Müntener was asked if there was anything about where Hepper was found that would have caused him to have been missed. Vancouver Police continue to look for a missing man who has not been seen since March 8th and are releasing an updated photo provided by his family. The photo is believed to better resemble his current appearance. 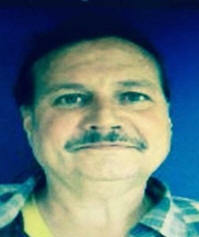 Fifty-six-year-old Richard Mindlin was last seen by friends in the area of Dunlevy and Cordova Street. 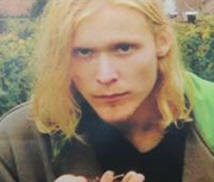 Richard is described as white, 5’10” tall, 185 pounds, with a medium build, and is missing a few of his front teeth. He was last seen wearing a white and black shirt with blue jeans and a black leather jacket. 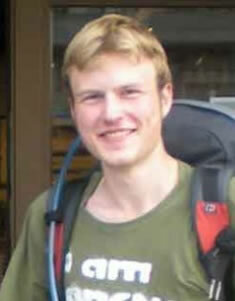 Richard Mindlin Vancouver Police are looking for a missing man who has not been seen since March 8th. The names of the two men that went missing in the Salmon River near Prince George on March 7th, 2016 are being released. During the late afternoon of Monday March 7th, 2016, the Prince George RCMP were called to the Salmon River for a report of two persons that had gone into the river. Through investigation, officers learned that 36 year old Salmon Valley resident Ryan Everett JENKINS, went into the fast flowing river while operating a snowmobile. Attempts were made by on-lookers to rescue JENKINS. One of them, 31 year old Prince George resident Brandon Warren LAWRENCE, ran from shore and without hesitation jumped into the water in an attempt to rescue JENKINS. Moments later, both men were swept under a large portion of ice covering the width of the river. Emergency Management BC and the Prince George Search & Rescue Society assisted the Prince George RCMP in searching for the two men for approximately 2.5 days on land and in the air, without success. The search has been postponed with the possibility of starting again if river conditions allow for it. The RCMP want to extend our sincere sympathy to the families and friends of Ryan and Brandon. We would also like to thank the members of the Prince George Search & Rescue Society for their hard work and dedication. Nicholas RUBINI was last seen at 8:30 am on January 22 in the 10500 block of 132nd Street in Surrey. RUBINI has not been seen or heard from since, which is highly unusual behaviour. 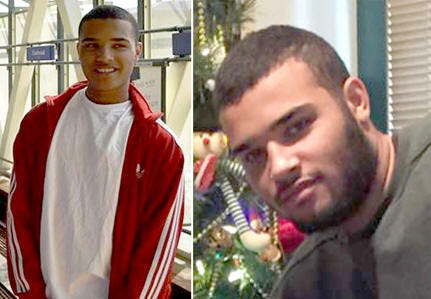 Nicholas RUBINI is described as a 19 year old African American male, 5’10” tall, and 170 lbs. He has short black hair and brown eyes (Please see attached photos). He was last seen wearing a black jacket, grey sweater, grey pants, and a white hat. RUBINI is known use public transit to travel throughout the Lower Mainland, primarily between Surrey and Vancouver. Police and family are concerned for his well-being as it is out of character for him to be out of touch this long. 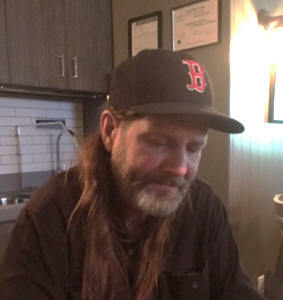 Burnaby RCMP is requesting the public's assistance in locating a 49-year-old missing Burnaby resident, George Lorry Wood. George goes by his middle name Lorry and also Randy. George was last seen on June 20, 2015 when he was dropped off at the Surrey Central Skytrain Station. He is known to frequent the Burnaby Central Park area. The Burnaby RCMP is concerned for his well-being and anyone with information is urged to contact the Burnaby RCMP Missing Person Unit at 604-294-7922 or Crime Stoppers at 1-800-222-TIPS( 8477). 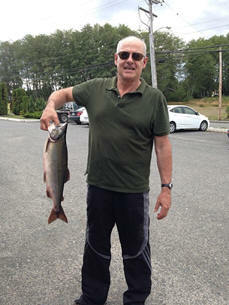 Police are seeking the assistance of the public to locate a missing Surrey man. 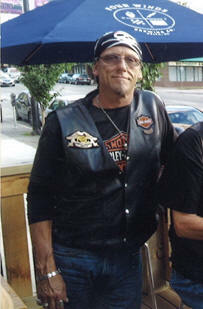 Jeffery Frank KOOISTRA was last seen on February 19th when he left work in the North Langley area. He is thought to have taken a bus to Fraser Highway and 152nd Street. He called home at that time (4:00 p.m.) and was expected to arrive half an hour later. He did not return home and it is out of character for him not to make contact. 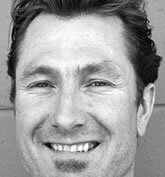 Jeff KOOISTRA is described as Caucasian, 50 years old, 5’10 tall, medium build, with short, light brown hair and blue eyes. He was last seen wearing blue jeans, a black hoodie and black running shoes. 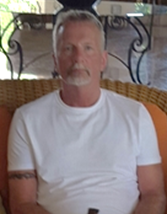 If you have information that might assist police to locate Jeff KOOISTRA, please call Langley RCMP at 604-532-3200. Vernon/North Okanagan RCMP is requesting the public's assistance in locating a missing Armstrong resident. Terrence Strynadka was last seen February 15th, 2016 near Swan Lake. Police are very concerned for Terrence's health and well-being and friends and family report that it is out of character for him to be out of contact for this long. Anyone with information on the whereabouts of Terrence Strynadka is urged to contact their local police, or Crimestoppers at 1-800-222-8477 (TIPS). A relentless search by family for an 81-year-old Bowser man with dementia who has been missing more than two weeks continues this weekend. Corinne Redgate, daughter of the missing man James Roberts, said family members from throughout B.C. and Ottawa have returned to take part in a grid search planned for Saturday. As many as 15 volunteers plan to meet at 8 a.m. Saturday on Charlton Drive near Thames Creek. Roberts was last seen at 10:30 a.m. on Feb. 4 outside his mobile home at Vacation Village on Lioness Boulevard in Bowser. His wife of 29 years, Linda Thompson, stepped inside for a moment, “and he was gone,” Redgate said. Roberts is described as a “very friendly” and active man standing six-foot-two. He has a slender build, short grey hair and green eyes. 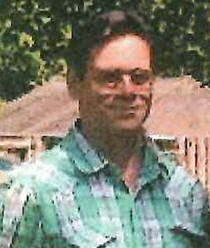 He has glasses and was wearing blue jeans, a green jacket and a brown and white hat when he went missing. 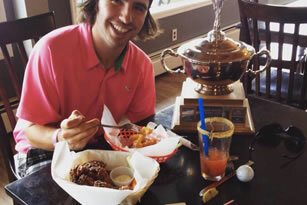 News that a woman encountered a tall, friendly gentleman in a green jacket on the afternoon of Feb. 4 has buoyed the family’s hopes, Redgate said. “She encountered him on a trail in the Nile Creek area,” she said. For that reason, this weekend’s search will concentrate on that area. Volunteers are asked to wear very rugged clothing and footwear given the rough and steep terrain and the possibility of rain. There are several recreational trails near Roberts’ home, as well as rugged forest and dense brush. “We are trying to get volunteers and also asking if anyone has hunting/tracking dogs to please contact us to assist with the search,” Redgate said. More details on the search can be found on a Facebook page called “Finding Jim Roberts”. About 160 trained searchers combed the Qualicum River area north to Deep Bay for Roberts before concluding their search on Feb. 7. The RCMP are treating the case as an active missing person’s file. 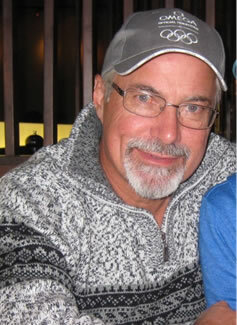 The family asks the public to report any sightings of Roberts to Oceanside RCMP at 250-248-6111. 81 year old James Roberts was last seen on February 4th, leaving his residence in Bowser near the Lighthouse Community Centre at 10:30 a.m. James Roberts suffers from Dementia and left on foot in an unknown direction. He is quite possibly disoriented. 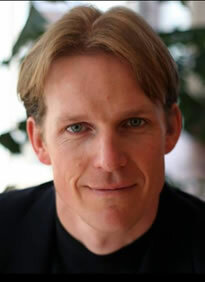 Description of James Roberts: Caucasian, 6 foot 2 tall, slender, short grey hair, green eyes. Wearing: Blue jeans, green jacket, brown and white hat, and glasses. For a fourth day search and rescue crews were looking for a missing Bowser man, north of Qualicum Beach. The 81 year-old, who has dementia, left his home on Thursday morning and hasn’t been seen since, despite extensive efforts. Crews searched all day Friday and Saturday as well. It was 10:30 Thursday morning when Jim Roberts left his mobile home in Vacation Village. There are numerous trails and green space nearby but his family says it’s not like him to just walk off and not return. Jim Brown was last wearing a brown cap and a green jacket. He’s 6’2 and approximately 175 pounds. Search teams from the Comox Valley, Alberni Valley, Campbell River and Nanaimo have been aiding Arrowsmith Search and Rescue since Friday, for a total of 1400 hours volunteered by trained personnel, not including Sunday. His family says Roberts would not be carrying identification and he hasn’t had a driver’s license in several years. They say he’s friendly and he’s never shown signs of depression. Arrowsmith Search and Rescue called off the search just before noon on Sunday having searched the area extensively. 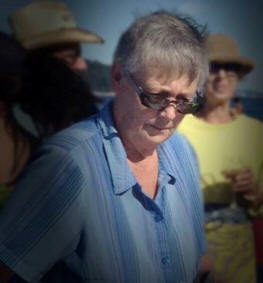 The search for Ruth Kilgore has ended after she was found dead in the water off a beach in Saanich, police say. The 61-year-old was reported missing by Victoria Police on Thursday. She was last seen by her family Wednesday morning about 10:45 a.m.
Kilgore was officially identified by her family members this morning, with the B.C. Coroners Service, said Sgt. Jereme Leslie, Saanich police spokesman. “Our investigators have ruled out foul play,” Leslie said. “It appears to be a family tragedy at this time." “Our thoughts are with the family,” Leslie said. A body was reported to police by a passerby about 4 p.m. Thursday in the water off a beach at Mount Douglas Park, near the park’s lower parking lot. Saanich and Victoria police attended and tape was put up at the parking lot leading to the beach access. Saanich officers from the patrol and detective divisions and from the forensic detective section were at the scene. The coroner arrived about 6 p.m.
Victoria police reported Thursday night that the search for Kilgore had ended and her body had been found in Saanich. A week after one Cowichan Tribes member went missing, Chief William Seymour is reminding the community of other members whose whereabouts are unknown. Everett Jones, 47, was last seen leaving his home in the Club Road area on the morning of Feb. 10, and Search and Rescue crews spent much of last weekend looking for him, with no success. Disappearing suddenly like that was out of character for Jones, police said. He is described as having the mental capacity of a 12-year-old, and has short dark hair, glasses and no teeth. He was clean shaven when last seen and is approximately 5-foot-10 and 170 pounds. He was wearing a camouflage jacket and beige pants. Ian Henry, 26, has been missing since last August, when he left his Tzouhalem Road-area home. There were a few reported sightings within the following days, but nothing was confirmed. Henry was described as about 5-foot-10 and between 160 and 180 pounds. He was last seen wearing a dark shirt and dark shorts. Desmond Peter was 14 when he went missing almost nine years ago in March 2007. Peter has brown eyes and brown hair, and may go by the names Desmond Louie or Casey Louie. “Our hearts and prayers are with the families of the missing persons as the search goes on,” Seymour said. “Cowichan Tribes will continue to offer services to the families. Please contact the RCMP or 911 if you have any information or know the whereabouts of any of these community members. 47 year old Everett Jones left his home in the Club Road area of Duncan February 10th at approximately 11:00am without indication of where he might be going. His family and friends have been actively looking for him but have not turned up any clues as to where he might be. Mr. Jones is known in the commercial area of Duncan and his usual daily stops have been canvassed. 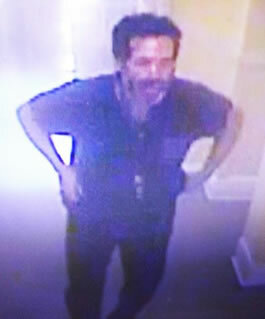 North Cowichan/Duncan RCMP have checked and eliminated Island Hospitals and locations Mr. Jones is known to frequent. Police are requesting the public's assistance in locating Mr. Jones as he is of diminished mental capacity and at a high risk to lose his way. Cowichan Valley Search and Rescue have been activated and will be hitting the ground in the Duncan area focusing on trails and bushes. This is out of character for Mr. Jones and the recent inclement weather increases the urgency of the search, added Cpl. Krista Hobday. Please contact the North Cowichan/Duncan RCMP at 250-748-5522 if you have any information regarding Mr. Jones' whereabouts. Maple Ridge, B.C. He was last seen just over a week ago at a friend’s house in Maple Ridge, and his friends are concerned for his safety. Steven is described as Caucasian male with fair complexion. He is 5 foot 7 inches tall with a medium build, short dark brown hair, and brown eyes. He was last seen wearing a black jacket and black jeans. He is not known to drive, and does not own a vehicle. Anyone with any information is asked to contact Ridge Meadows RCMP at 604 463-6251. 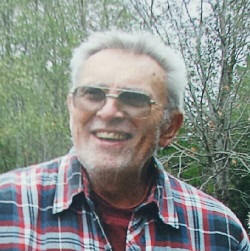 RCMP is requesting the public’s assistance in locating Melville Donald McLean, 83, of Lindell Beach. Melville was last seen on February 10, 2016 at 11:45 a.m. by a family member in the 1900 block of Columbia Valley Road. Melville is described as a Caucasian male, 170 cm (5’7”), 86 kg (190 lbs), blue eyes, and white hair. “Police and family are concerned for Melville’s wellbeing and believe he may be in need of medical attention,” said Cpl. Mike Rail. Anyone with information on the whereabouts of Melville McLean is urged to contact the Chilliwack RCMP at 604-792-4611, or should you wish to remain anonymous, call Crime Stoppers at 1-800-222-8477 (TIPS). 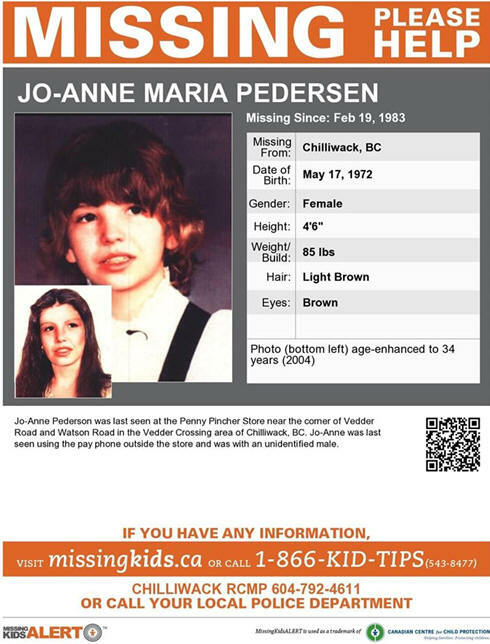 Chilliwack RCMP have partnered with Crime Stoppers to create a re-enactment of the night Jo-Anne Maria Pedersen disappeared. This investigation is a top priority of the Chilliwack RCMP Serious Crime Unit, and we are confident that the mystery behind Jo-Anne's disappearance can be solved. We know Jo-Anne was seen by several witnesses with a male in the phone booth outside the Penny Pinchers Store where Jo-Anne was last seen. We believe this individual was trying to help Jo-Anne that night. We also believe he still lives in the Fraser Valley Area of British Columbia and we need to identify him and speek to him to help solve this case. Anyone with information is asked to contact the Chilliwack RCMP at 604-792-4611 or anonymously to Crime Stoppers online at www.chilliwackcrimestoppers.ca or by calling 1-800-222-TIPS. WARNING: The images may be disturbing to some viewers. Discretion is advised. Mia Dejesus, 16, was filmed by her alleged bullies as they punched and hit her in their school bathroom. 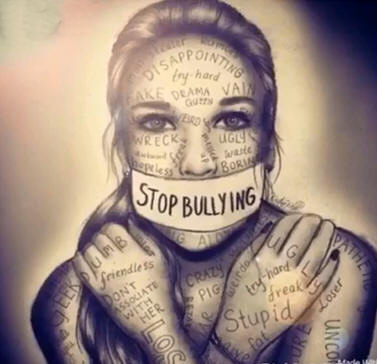 Dejesus is sharing the video in hopes that her anti-bullying message will be heard. January 21, 2016 Prince George, BC Search for Person in River The search will resume today for a person believed to have gone into a local river early this morning. At 12:30 AM on Thursday January 21st, 2016, the Prince George RCMP received a report of a person jumping into the Nechako River near the John Hart Bridge in Prince George. Officers were on scene and at various points down river within minutes. Visual checks of the river showed no signs of the person. Officers located clothing along the shore line where the person was seen entering the river, under the bridge. The Prince George Search & Rescue Society and Prince George Fire / Rescue were immediately called out to assist. Unfortunately, due to darkness and ice conditions on the river, boats could not be utilized. At approximately 1:45 AM, 75 minutes after the initial call, police, fire and SAR personnel made the decision to suspend the search until daylight. This morning, the search is expected to resume by land and air, weather permitting. If you have any information about this this incident or who this person may be, please contact the Prince George RCMP at (250)561-3300. A Kelowna man, missing for nearly a month, has been found dead.